Traction Engines - Aveling & Porter. Athena. 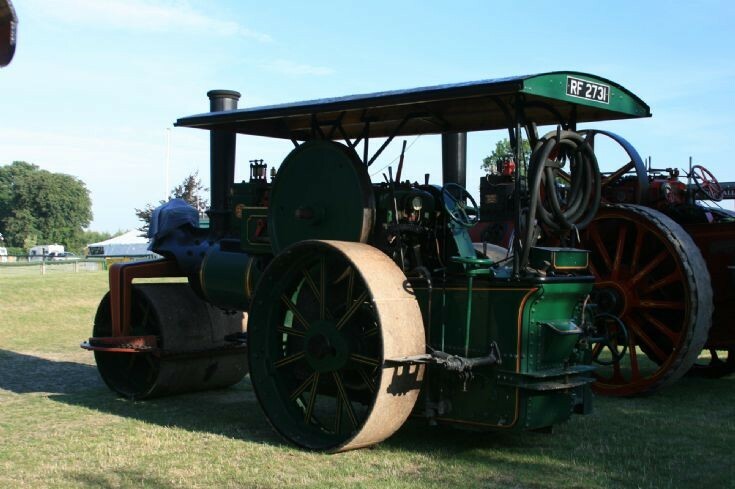 This is the Aveling & Porter Road Roller 8815, Athena (RF2731). Built in 1917.Seen here sitting quietly in early morning sunshine at Winterton Show Ground,N.Lincs.24/07/2010. This Engine spent my childhood in a play area for children to play on in Beacon park Lichfield Staffs, I have a picture of it and would love to know were it is now and if it is ever on show. Added by Ian Murray on 16 August 2018.